Visit Tesco Superstore on Market Street, about a 0.18 mile driving distance north-west from the centre of Abergele (by St. Michael's Church). This store serves customers from the areas of Abergele, St Asaph, Pensarn, Rhyl, Colwyn Bay and Belgrano. It is open today (Friday) from 6:00 am until midnight. This page will provide you with all the information you need about TESCO Abergele, including the working times, store address info, product ranges and additional details. Tesco Superstore is located in a convenient spot close to the crossroads of Sea Road and Market Street, in Abergele, Conwy. Simply a 3 minute drive time from Dundonald Avenue/Water Street; or a 5 minute drive from Junction 24 of A55. LL22 7AA is the postcode for those using Satellite Navigation devices. Those traveling to the store by bus should get off at Broadway or Tesco. Lines 13, 21, 43 and Sapphire 12 are available here. Trains arrive and depart from Abergele & Pensarn Station (0.72 miles away). Getting here is convenient along the line: Arriva Trains Wales. Just a short walk away you will come across Gwrych Castle, Mynwent Mynydd Seion, Pentre Mawr Park and Saint Michael's Church. There is currently 1 TESCO store operational in Abergele, Clwyd. For more TESCO visit this following page for an entire list of all locations near Abergele. UK national holidays may cause changes to the usual business times for TESCO in Abergele. In the year 2019 the updates cover Christmas, New Year's Day, Good Friday or Early May Bank Holiday. 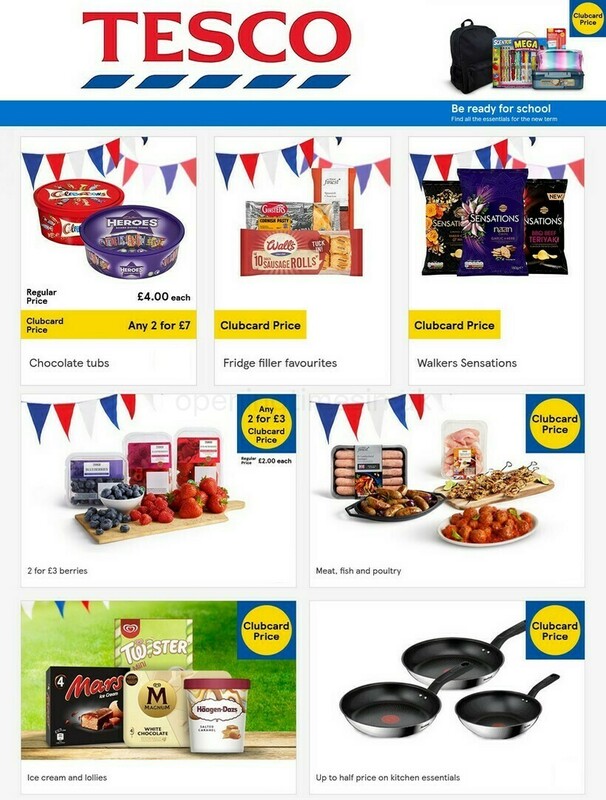 The best way to get verified details about seasonal working hours for TESCO Abergele is to go to the official homepage, or phone the direct number at 0800 50 5555. It's the Opening Times in the UK team's main objective to provide you with the latest information as possible. Please feel free to make use of this form to report any mistakes with the location description or opening times for TESCO in Abergele. In the space provided below, please submit your critique of TESCO, and rate its store using the star system. Your comments are valuable.